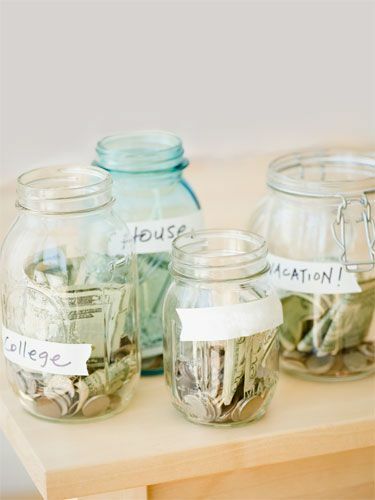 When it comes to saving money, we often think about changing something in our lifestyle, for example, stop buying those expensive cookies and going with the store brand, cycling to work, or avoiding eating out for a month. While those changes will definitely have an impact on your budget and help you save money, there is another easy way to save without affecting your lifestyle: shopping around for better deals. It takes a little research, but usually it pays big. Here are three areas definitely worth shopping around to make sure you pay as little as possible for the same service. Did you know you can save up to £200 by switching energy suppliers? And the best part is, that is super easy. All you need is your last bill to know how much you are spending on energy each month and the tariff you are on, your postcode and provider. A website such as Be an Energy Shopper will give you independent advice and guide you to comparison sites, showing you the best provider for your area and usage, and helping you switch in just a few clicks. Most of the time, the new provider will take care of everything, from cancelling your previous contract to changing your direct debit details with your bank. It couldn’t be easier, won’t affect your lifestyle at all since you won’t even notice you have changed providers, and only takes a few minutes. Most providers offer a deal that then reverts to their standard, more expensive tariff, so make sure you look again for a better tariff when the deal ends. You can do the very same online search/switch with broadband, landline and TV bundles, but from my personal experience, I have found switching sometimes brought a little glitch in between providers, and the difference in speed and customer service was what made me want to stick with my current provider. Nevertheless, I always make sure I am on the best deal possible. Every year, I call them, after having a look at their competitors, and tell them I would like to keep my discount since there are much cheaper deals around. Generally, they keep me on the new customer discount that is half price broadband for 12 months. I once forgot to call and ask for my discount, and when I saw the higher bill the following month, I called them and they were happy to issue a credit note. It is a tough war out there to attract new customers, and keeping existing ones, even if that means at a discount, is much easier for your provider. So you should know you have an advantage, and if the rep you are talking to is not very helpful, just ask to talk to retentions and they will offer you a better deal for sure. If you have credit card debt, the interest you are repaying on the debt are probably in the double digit area, preventing any payment you make from truly affecting your balance. If you only make the minimum payment every month, it can take years to wipe off a balance. So once again, a quick online search will show you the companies that offer 0% balance transfers, and even offer you to switch online. Make sure you make a note in your agenda when the 0% deal is about to end, to shop for a new one. Like that, all the money you throw at your debt will be allocated to your balance.